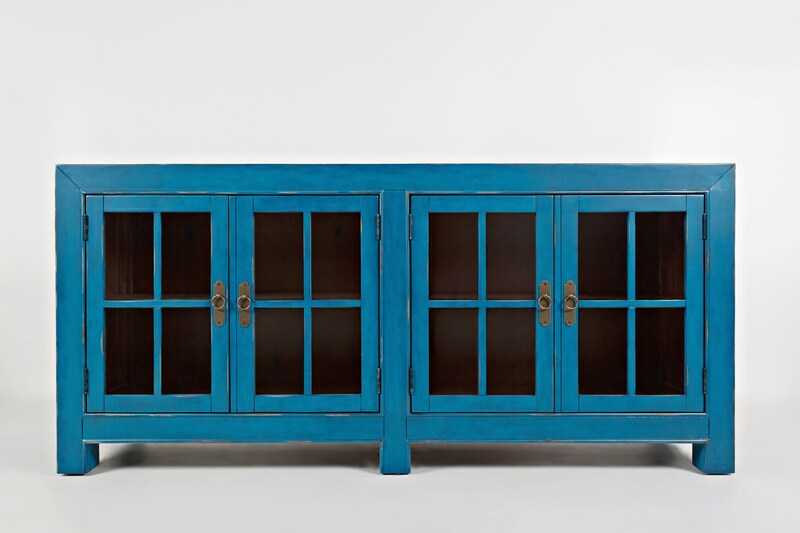 With its vivid finish and uniquely aged patina, this accent cabinet makes us think of far away places like Santorini and- some where warm and idyllic. Bring that into your home- and store some treasure while you're at it. Tasteful distressing and subtle finish variations should be expected and enjoyed. The Aquitaine Accent Cabinet by Jofran at Zak's Home in the Tri-Cities, Johnson City, Tennessee area. Product availability may vary. Contact us for the most current availability on this product. Storage Cabinet Opening Dimensions: 30.25" x 22.5". Shelf Dimensions: 34.5" x 15.75". Adjustable interior shelf sitst at 9/11/13" height. Sits 3" from floor. Browse other items in the Aquitaine collection from Zak's Home in the Tri-Cities, Johnson City, Tennessee area.